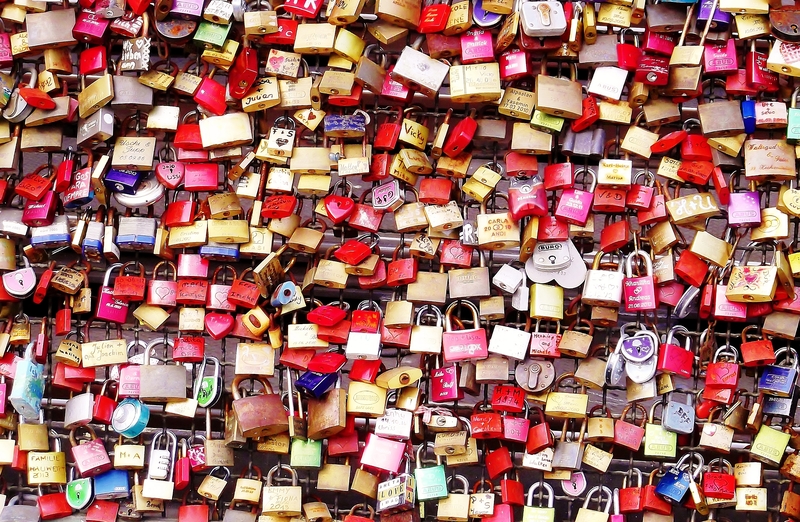 These are the “LoveLocks” of Cologne (Germany). Couples in love fix padlocks to the railings on the Hohenzollern Bridge. Then they throw the key into the Rhine river below. So their love is to last forever. 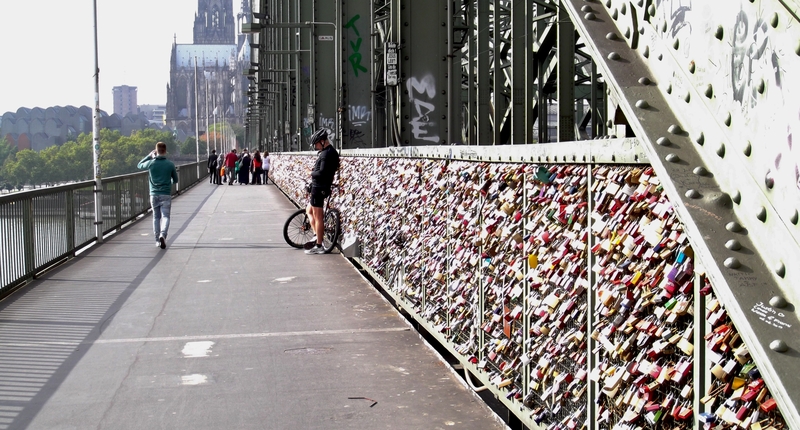 Those locks have become a landmark of Cologne. This could be metaphorical layers also. I love it! Wow love this post had no idea it even was out there, someone is very creative. I’ve seen those padlocks in Paris, and I didn’t know why they were there. Thanks for solving the mystery. This is amazing, and your photo would make an excellent jigsaw puzzle!